I had the opportunity to speak with author Jean Scheffler about her novel The Sugar House. The Sugar House is a gripping tale about Detroit from 1915 to the 1930s [for an in-depth review, click here]. The story’s protagonist, Joe Jopolowski, grows up from a young boy who follows his Catholic school rules to a young man who associates with Detroit’s notorious Purple Gang during Prohibition. The novel gives a rare view of Detroit and the real-life characters that populated it in the early 20th century. 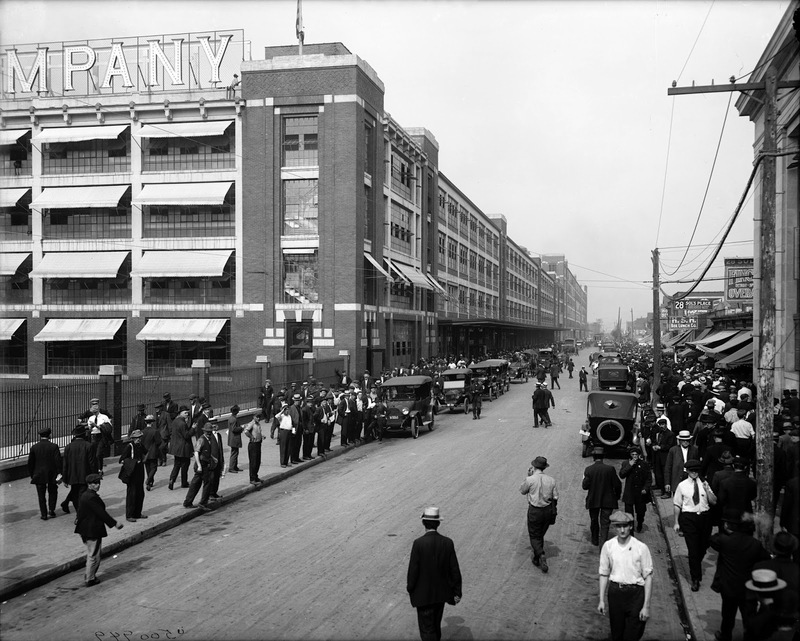 What inspired you to write a book about Detroit in the early 20th century? My grandpa used to tell me stories when I was growing up, and some of them were very shocking to me because I was a very naïve little innocent Catholic school girl. They were so shocking to me at the time that I remember a lot of them. I’ve also always had a love for history, and being a gerontology nurse, during my downtime, I went to my patients’ rooms and asked them to share their stories with me. I was extremely fortunate to have sat at the bedsides of such a great generation and to be lucky enough to hear the stories that made up their lives. I decided that this was a story I really wanted to write because a lot of people of my generation, much less my kids’ generation, don’t realize the amazing history of Detroit and the surrounding area. I felt that there weren’t many historical fiction novels about Detroit, especially that era or period, and I wanted to record it for future generations. Have you always been interested in writing, and have you ever written anything before? I always was interested in writing but I have not written before. I sat down and tried to write a novel a couple times, but it wasn’t the right time and definitely was not the right story. Once I found this was my story to tell, I hoped I would be worthy of the story. Once I did sit down to write it, it was very easy. Why did you choose to have Joe’s story revolve around the Sugar House Gang? Because of my grandfather. When I knew him fifty years after this story took place, he wasn’t a gangster. He was a Polish grandpa. We had our Polish traditions, and he worked at McLouth Steel his whole life. I wanted to show how things were so different back then and that it didn’t necessarily make you a bad guy to be on the wrong side of the law. The story works for this day and age when people try to find themselves, and might not make the right decisions. But they try to come back to where they want to be, their families, their faith. What made you take the first step to write this book? I had been a nurse and raised my kids. I felt that it was time for me to do something that I always wanted to do. It was time, and everything fell into place. Your book is full of so many details about Detroit, Wyandotte, Grosse Ile, and even the Upper Peninsula. How did you go about your research to find out these details? I grew up on Grosse Ile, and I always had a love for Wyandotte. I estimate that read about 400 books researching The Sugar House. I would go to the Detroit Library and would read the microfiche of the newspapers of the time I was writing about. For example, when writing about the day Ty Cobb broke the record for most stolen bases, I looked up that date in the Detroit News to see what the feeling of the day was like in Detroit. How much hats were selling for, what people were saying about the war…if people were even talking about World War I then. I also did a lot of research on the decades. I had three large binders for each of the decades that occur in the book. I listed the dress and the language or slang they used, how much houses were, how much bread was, and what songs were popular that year. The fun part of the research was when my husband and I would go on field trips. We went to Boston-Edison and visited the Canadian Club [in Walkerville, Ontario] for a tour. For me, I felt like I had to visit these places so I could touch them and feel them. And we’re lucky because in Detroit, so many of those things are still here. For example, I went down to American Coney and talked to the grandson of Gus, the owner, from the book. He told me stories, and I wrote them on napkins. Last Friday, I went down to American Coney and showed his grandson the book. He sat down and read it and had tears in his eyes. He was so sweet and said, “I can’t believe you got it. It’s like you were there.” And that was the greatest compliment I’ve had about the book. Were there any books or resources that served as the main source for your research? Paul Kavieff wrote two or three Purple Gang books, and I also used a 100 year centennial book about St. Josaphat that I found in my library for a lot of the information about St. Josaphat history. Other than that, I just delved into any book I could get. We would also go to Latin mass at St. Josaphat to see what a mass was like at St. Josaphat during the time period of the book. When Joe makes pierogi in the book, we had learned how to make them at home. I even had my kids help me make the pierogi so I could see how a young child would shape the dough like Joe does in the book. The main character of Joe is based on your grandfather. How much of the book is based on stories he told you, and how much is from your research or conversations with other men and women you worked with as a nurse? A lot is based on my grandfather’s stories, but because I was young, he did not share a lot of what he did for the Purple Gang. I’m not sure if that’s something his generation would share with anyone. A lot of the rum running stories are from research or stories that I was told by others. In terms of your writing process, did you have an outline and story planned out before you began writing, and did anything turn out different from how you originally planned? I meant to do an outline, but I never did because I had so much information in my brain that I just started writing. I would backtrack to make sure my story’s dates matched. I had a straight timeline to make sure my dates were always correct. It was important to me that even if the dates were a little bit off, that readers would understand what it felt like to grow up in that time. The Polish culture, history, and food references really impressed me. I even laughed out loud at a line about never arguing with a Polish woman trying to give you food because I experienced that many times with my own Polish grandmothers. Funny you said that. My great-grandmother spoke very little English to me, but the one thing she always said was “Eat!” We would go to her house as kids, and she would just push food on us. Despite being a couple generations removed from the characters in the book, were any of the Polish cultural references obtained from your own childhood experiences? Actually, I had to do a bit of research on it because as a third-generation Polish-American, a lot of things had fallen aside except for a few traditions. I had a few really good Polish books that were half Polish culture and half Polish cookbooks that I referred to a lot. In the story, Joe and his mother visit Mt. Olivet Cemetery and visit graves of Polish families whom they did not know since they recently moved to Detroit. His mother goes into great detail about her hometown in Poland, and the oppressive Prussian regime that ruled that section of Poland until the country was reestablished after World War I. Have you ever been there, or was this information from family stories or research? This was all from research. I wanted to show a couple of things with this scene. One, I wanted the reader to know that the Spanish flu was coming and that there had been epidemics in America before that had wiped out millions of people in the 1880s. Two, I wanted the reader to know why people left Poland because people today may not understand. They may just think that people came here to make $5 a day, but there were a lot of other reasons people were coming to America. My family and I have no idea where we came from in Poland because my family’s name had been changed at Ellis Island. I wanted to make Joe’s family’s hometown a beautiful place and chose Jastarnia. After reading the book, I looked up several of the gangster scenes, like the Collingwood Massacre, and realized they were based on real-life events. You also mention locations, including a house on Grosse Ile and one in Wyandotte, that were used by the Sugar House gang to smuggle liquor into the U.S. Are these also based on real locales, and if so, are any of these former gang houses still standing? The one on Grosse Ile is just a place in my mind that exists, but I do know there are houses like that on Grosse Ile. As far as the ones in Wyandotte, there are many. I don’t know their exact location, but if I drove down Jefferson right now, I could probably point out two or three that I went into growing up Downriver. Someone also told me about a house in Wyandotte where you only get to half the basement through a trapdoor underneath the kitchen sink and that’s where they hid the liquor. As for the shooting on Biddle [a street in Wyandotte] in The Sugar House, I have had ten different people come up to me and say that it was their grandfather, uncle or brother who was killed in that shooting. You grew up in Grosse Ile and still live in the area. What are your favorite things to do in Detroit? I like to explore the city. I am so excited about all the new restaurants that are coming up. We try to go to the city at least once a week to try a new restaurant. I also volunteer at the Detroit Historical Museum, and I’m training to be a docent. I will be able to share my passion and knowledge about the history of Detroit with school groups who visit the museum. I hope I will make school kids excited about saving and keeping Detroit and making it prosper. What do you hope your readers will gain from your book? I hope they appreciate their ancestors and understand the difficulties their ancestors had, but also will learn that they had great times. 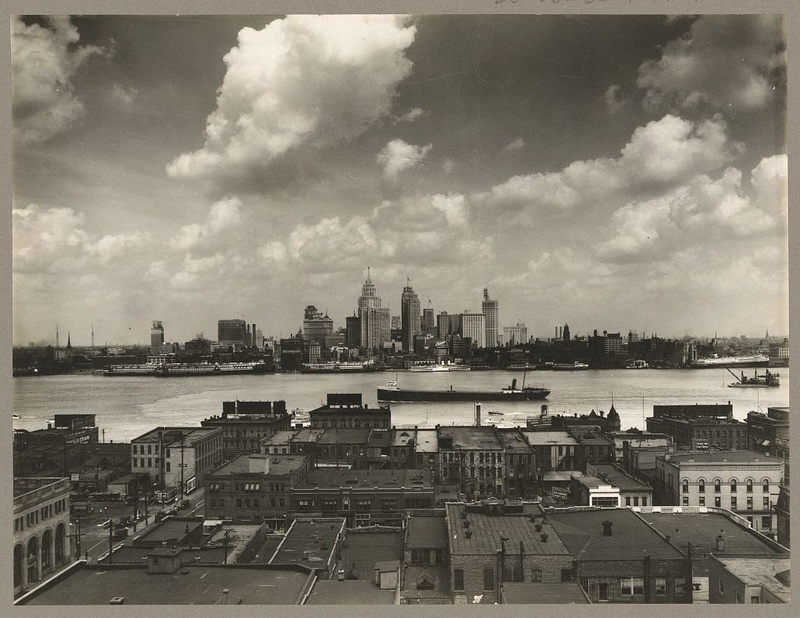 I hope my readers delve into their pasts and find out stories about their grandparents or great-grandparents and how those generations forged Detroit. For example, during my research I discovered that when Detroiters bought Belle Isle, they used a lot of money from their own pockets. They did not have a lot of money, but they chose to make the land into a public park. 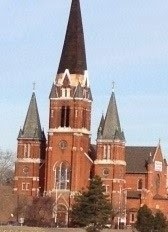 When they constructed Sweetest Heart of Mary or St. Josaphat, those people only made $2 or $3 per day, and they built those amazing cathedrals that I do not even have words to describe…probably one of the hardest parts about writing the book was describing St. Josaphat’s without saying “pretty” all the time. Detroiters sacrificed so they could have a community and a place where it felt like they belonged after leaving their homeland. They built beautiful things for the next generation when they had no money. I hope people will find out about their ancestors and see what they contributed and appreciate that. Is there anything about your book that you think is relevant to the issues facing your readers or Detroiters today? Hopefully, it will inspire people to come back to their roots. I think we all want to come back home, and a lot of Detroiters are discovering the urge to come home now. People are trying to revitalize the city and come back to the world they or their ancestors were originally from. What about today’s Detroit gives you hope that Detroit can regain some of the luster it had in the early part of the 20th century? I’m seeing a lot more interest in Detroit. Even ten years ago, most people had written it off. People didn’t go into the city unless it was for a Red Wings game. Now, people are going to Detroit more and are trying to learn more about the city. Different groups are encouraging people to live and work in Detroit. There are even traffic jams at rush hour in the city where there never used to be. There’s more people living and working down there. We need big business to be down there because you need an anchor, and you need several of them. I think it’s happening. I think it’s exciting, like Corktown. It seems like there’s a new restaurant in Corktown every week. Detroit wasn’t built in one day, and it will take a few years to get back to where it was. That’s why I hope people will read my book, like it, and then want to be a part of that. I hope to. My next idea has come to me and is waiting to be written. I have started it a little bit, and it is actually based on my maternal grandfather. He was a railroad conductor from Michigan to Kansas City who was born in the 1890s. What advice would you give to someone trying to write a historical novel? Research is important, at least for me as a writer. I found so many fascinating things from reading old newspapers. In the book, I mention a little girl falling out of a window while her dad was at work, and that’s something I grabbed from an old paper. I would make the stories go around the research. Also, find something you want to write about. You have to be really passionate about your subject. For me, it was easy because I loved it so much. I’m happy you used the word “passionate.” As I read the prologue and the book itself, it was clear to me that this book was a labor of love for the city of Detroit and your grandfather. What do you think your grandfather would say if he had a chance to read this book? In the end though, I think he would be honored. Lots of good information in this interview. And as for the book, it was enjoyable and well researched. Thank you for your comment. It was a fun interview too. She clearly cares about Detroit and its history.